Virgil Abloh’s is a busy guy. Nike collabs, running his own label and now the head of Menswear at Louis Vuitton, one would think his time is minima, but that’s not stopping the drops. 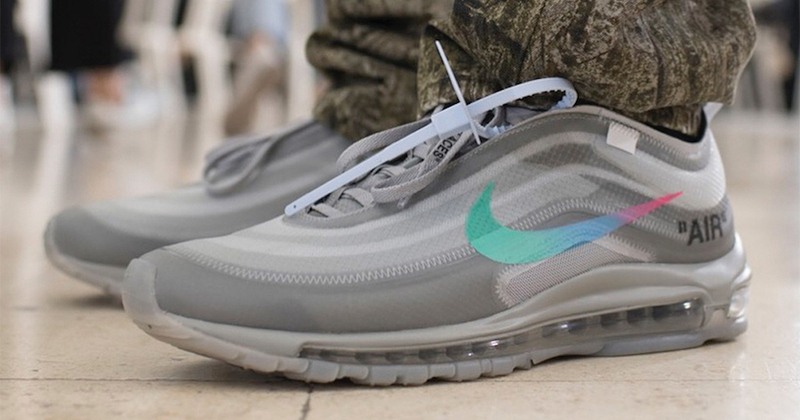 During his Off-White runway in Paris Fashion Week yesterday, he whipped out two new colorways of the Off-White x Nike Air Max 97. One is decked out in Off-White/Wolf Grey-Menta, the other arrives in a Black/Cone-Black-White color scheme. The Grey pair features a rainbow gradient Nike Swoosh, and the Black iteration comes with a White Swoosh. Each pair will also come with a new White zip-tie hangtag, unlike the original Red hangtag. Both pairs are locked in to release on November 10th at select retailers and on Nike.com.